Immaculate Peirce Estates colonial with amazing yard on quiet Bates neighborhood side street. 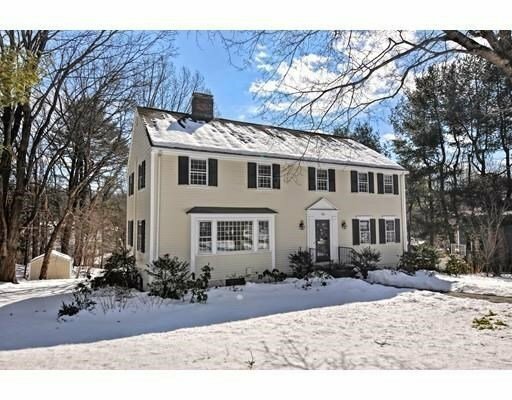 This classic Haynes-built home features many updates including two and a half stylish new baths. Refreshing young decor, stained hardwood floors, four oversized bedrooms and a sunny eat-in kitchen with granite counters and stainless appliances. A major 20l5 landscape project enhanced the spectacular grounds with a spacious new bluestone patio and extensive plantings. Enjoy the screened porch looking out over the huge and useable back yard perfect for family sports and summer gatherings. Dont miss this special home in an ideal location with easy access to Pike, and close to Bates and Boulder Brook Reservation.